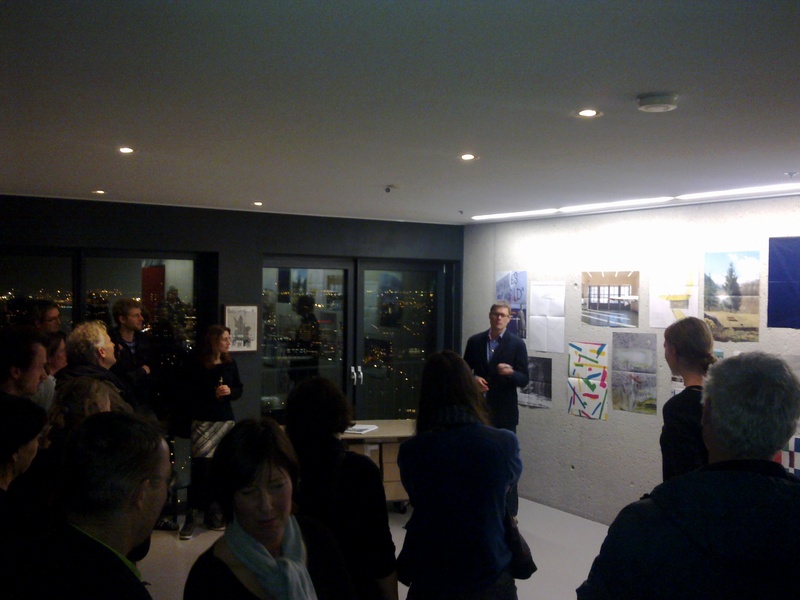 On December 15th RAIR presented the publication ‘Basel-Rotterdam Rotterdam-Basel’ in Wallgallery, a very suitable location since the Rhine that connects the two cities is most prominently part of the view. Although the Basel crowd was lacking the presentation was very lively. Content was further provided by Gerard Drosterij. Speeching in English may sound a bit overdone in a predominantly Dutch crowd but is the consequence of opening up for worldwide exchange. This entry was posted on 21/12/2011 at 12:57 and is filed under documentation. You can follow any responses to this entry through the RSS 2.0 feed. You can leave a response, or trackback from your own site.